Nissan India has once again worked on the Micra hatchback and brought yet another mid-life facelift. Mostly cosmetic the changes include refreshed interiors and the revival of a paint scheme. The 35 year old brand is available in its fourth generation avatar in India and is the smallest Nissan badged car you can get in the country. The revival of the Sunshine Orange paint scheme, which had earlier been discontinued, brings the total paint scheme options to six. The others being Brick Red, Turquoise Blue, Onyx Black, Blade Silver and Storm White. The Micra is the most exported hatchback in the country. Available in 100 nations, it has sold more than 60 lakh units globally. Mechanically the Micra continues with the same 1.2-litre three pot mill churning out 68 PS of power and 104 Nm of torque. The manual gearbox helps it return a figure of 19.49 kmpl. The four pot 1,461 cc diesel mill on the other hand, churns out 64 PS of power and 160 Nm of torque. Efficiency for the diesel stands at 23.08 kmpl. A CVT version is also available with the petrol engine where the output has been raised to 77 PS and the fuel efficiency stands at 19. 34 kmpl. 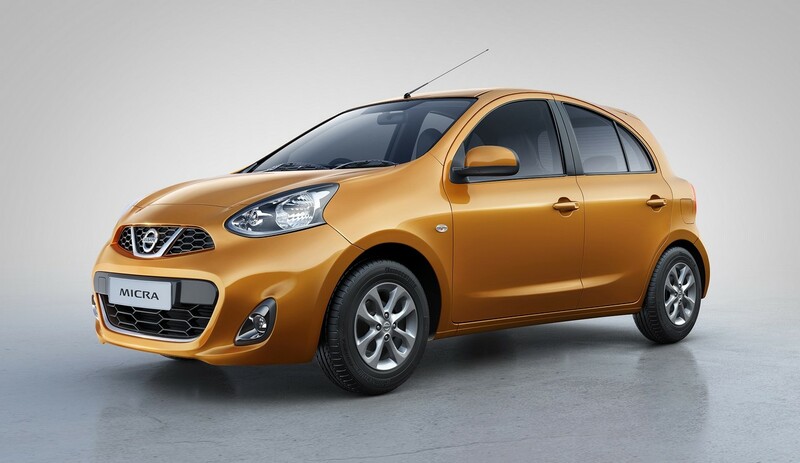 The company had recently lowered the price of the Micra CVT by a huge margin. The interiors now have an all-black look with piano black finish, black door trims, and black seat fabric with blue stitching. The Micra active will get a black instrument panel cluster and finisher, black seat fabric and a silver-colour door armrest finisher. The Micra Active starts with a price tag of Rs 4.55 lakhs while the Micra CVT starts at Rs 5.99 lakhs (both prices ex-showroom, Delhi).